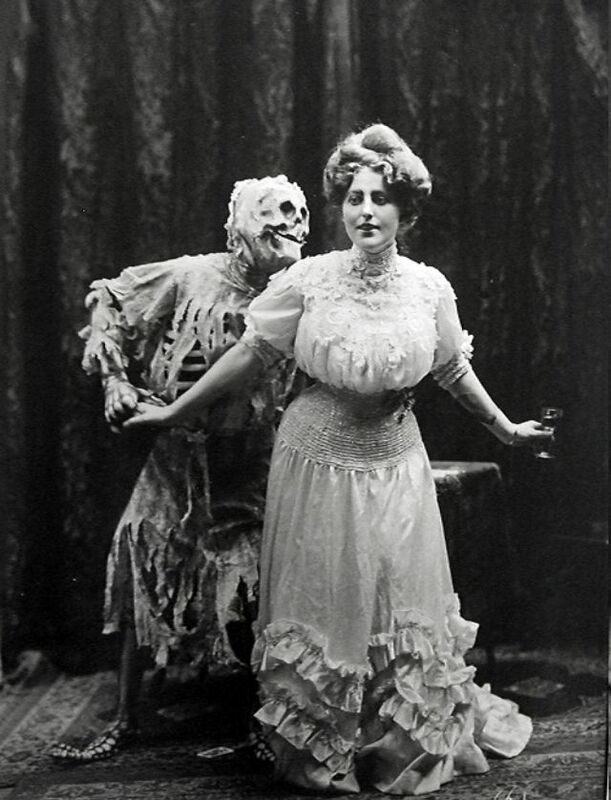 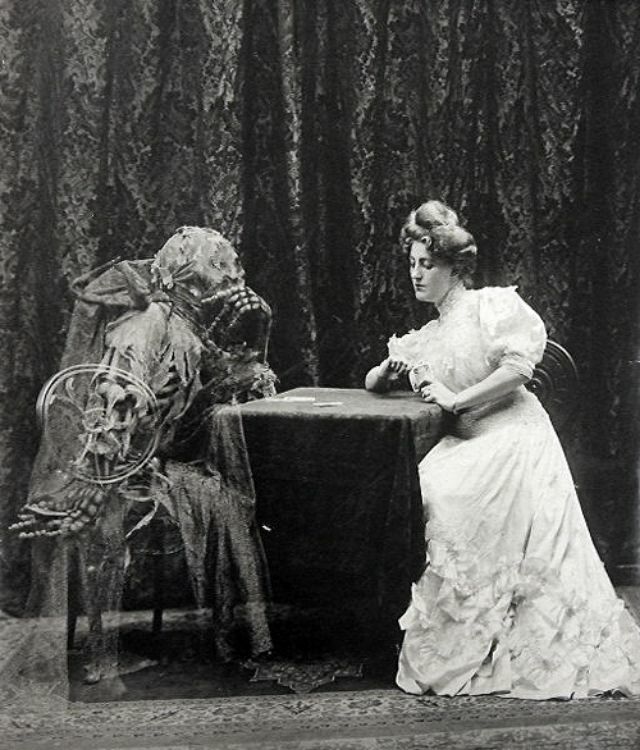 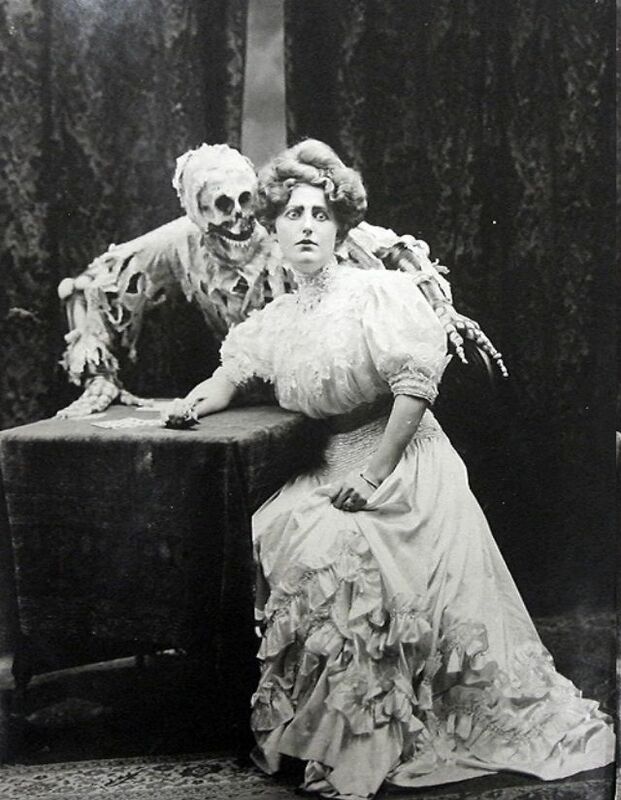 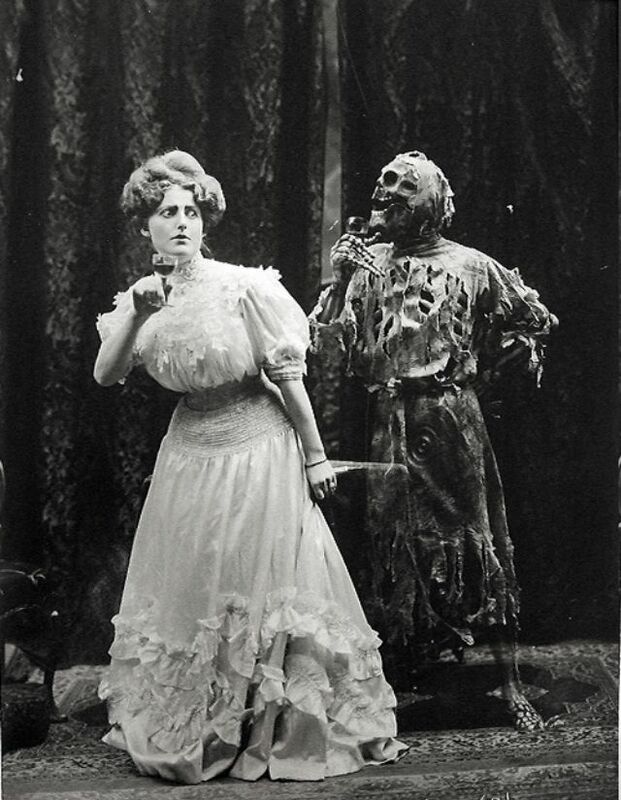 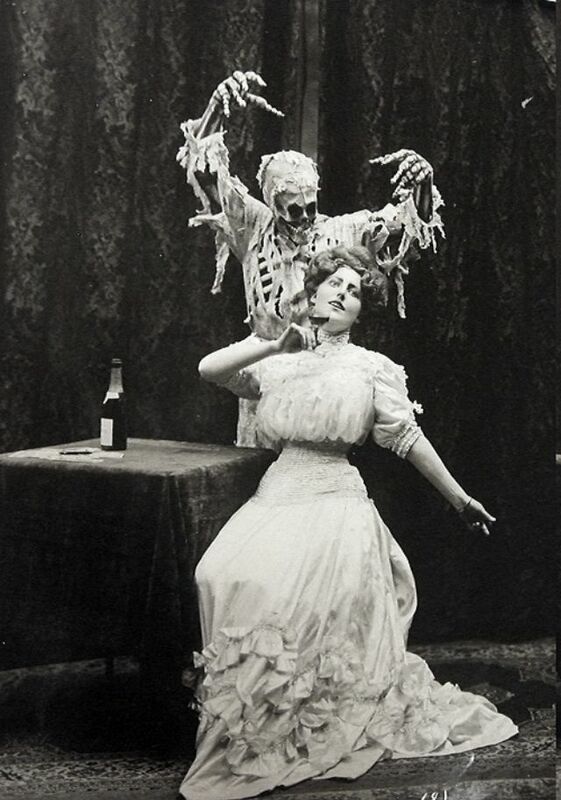 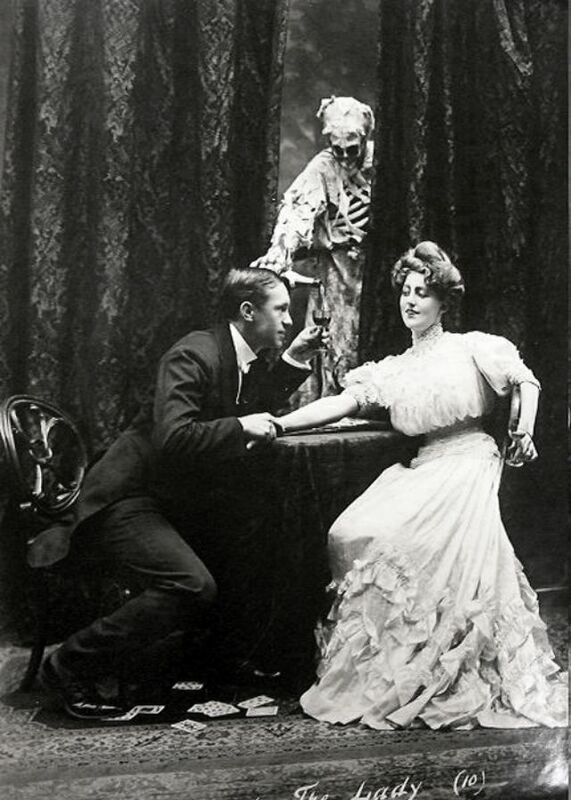 A vaudeville performance based on the old English ballad “Death and the Lady.” Photographed by Joseph Hall, 1906. 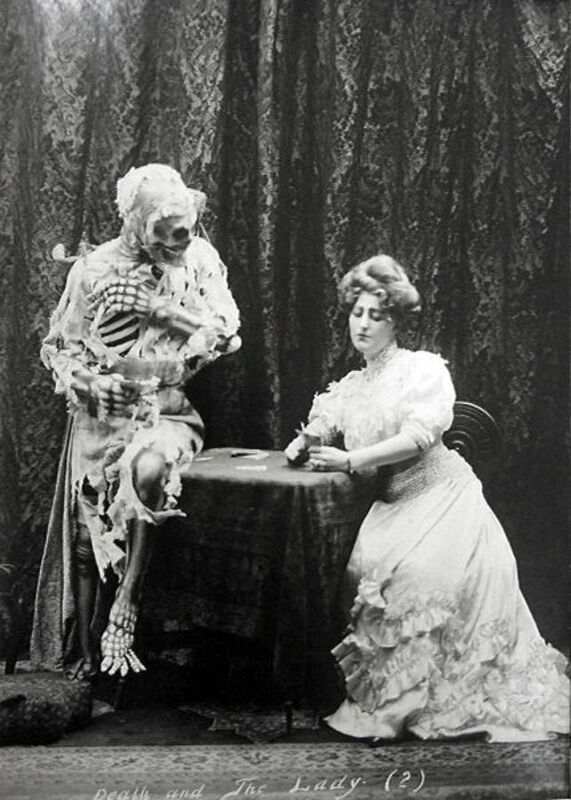 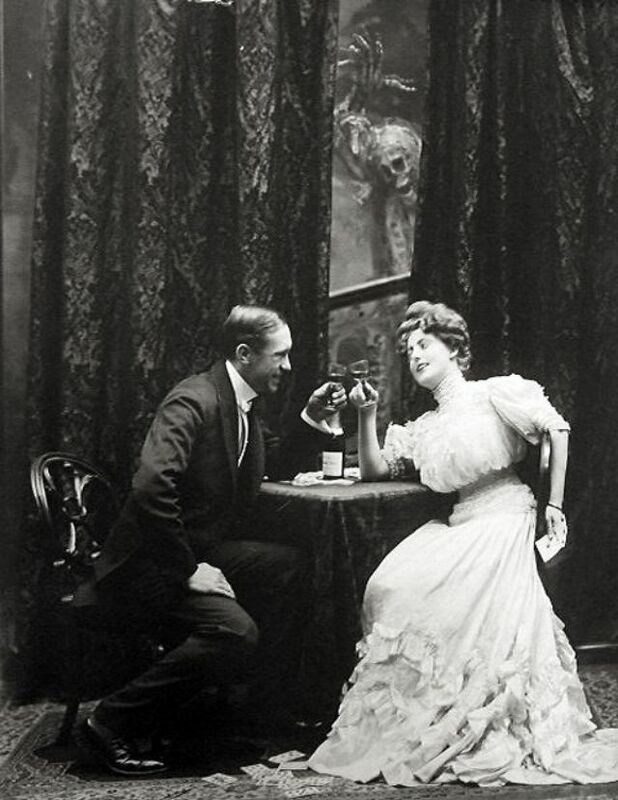 In 1906, The Journal of the English Folk Song Society published a piece on the old English ballad “Death and the Lady.” Some enterprising female entertainer encountered the article and realized the story might be used as a great vaudeville piece about the evils of card play and alcohol. 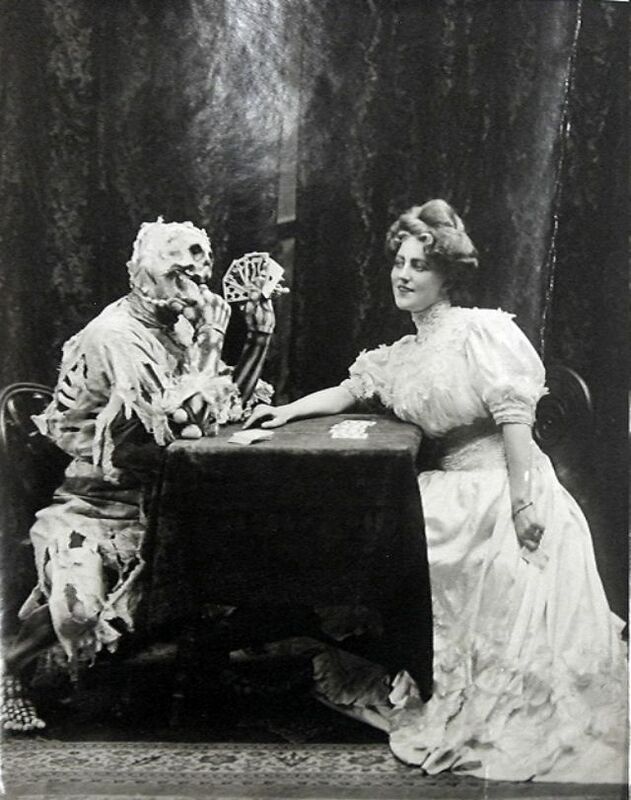 Touring performers were always searching for material that would play well in the sticks. 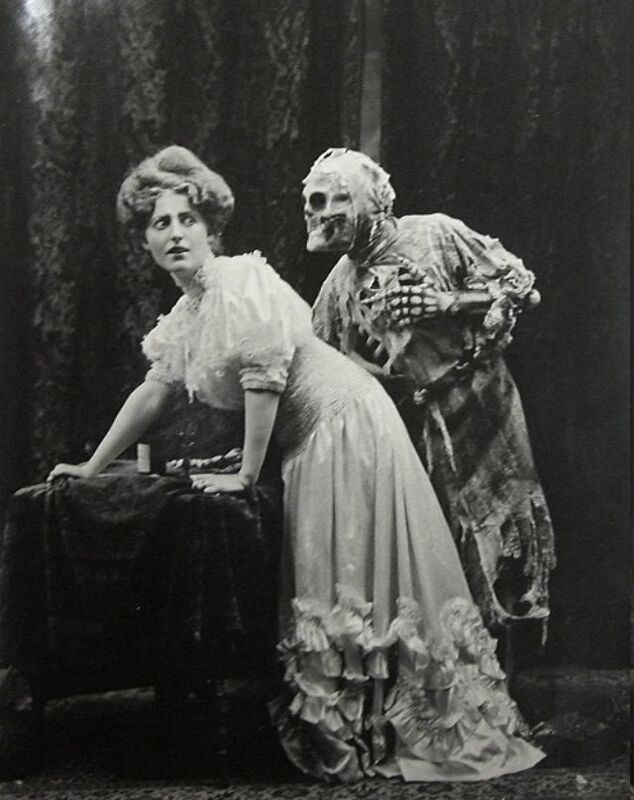 The city folks would enjoy the Grand Guignol staging, the traditional song, and the vocal technique. 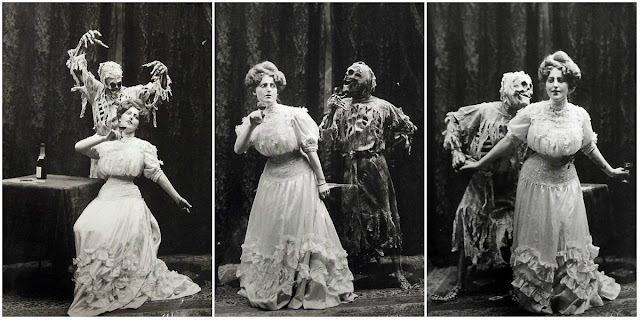 Here Joseph Hall, the Brooklyn born photographer who had made a career on baseball pictures and theatrical production stills, captured the sequence of the action, providing a peculiarly detailed and rare view of the progress of a single vaudeville performance.